The structure of a salary package payable for each position in a China-based company should be given careful consideration. Certain employees need to be incentivized, while other roles require a more fixed form of salary. Furthermore, the employer should consider the amount of income tax that will be payable by the employee based on the proposed salary package. This is particularly important if the company offers a net salary package to its employees. The employee’s base salary needs to be stated in the labor contract. This is the fixed monthly amount that the company guarantees to pay the employee. Employers can also include some one-off payments. For example, many companies make a 13th month salary payment to their employees around Chinese New Year. Companies should beware including any payments that are separate to the base salary in the labor contract, as they will be legally bound to make the payment. Instead, employers can choose to pay this amount as an annual bonus. In this case, the employer can explain to staff that the company generally pays this amount under normal business circumstances, but is not obligated to do so if performance is below expectations. The company can also pay bonuses at various points throughout the year. 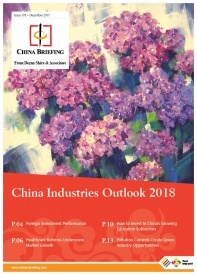 In this case, please note that under Chinese IIT law, employees can use a special tax treatment for a one-off annual bonus to reduce their tax burden (more below). Each month, the employee should produce evidence to show the company that this money was indeed spent on the services described in the contract; this is done using the ubiquitous “fapiao”, or official invoice, which should be received whenever an official monetary transaction is completed in China. Meal allowance: Foreign employees are allowed to deduct a certain amount that they spend on meals each month from their taxable income. Most of the fapiaos submitted should be issued by restaurants, but for some portion of the allowance fapiaos issued by supermarkets may also be accepted. Please note that the fapiao should state that the products purchased were “meals” or “food”. Housing allowance: The amount spent on rental of an apartment may also be deducted. However, please be aware that in China, a private landlord will often be reluctant to issue an official fapiao because in order to obtain one, he/she must pay some percentage of the rental amount received to the Tax Bureau. If a fapiao is requested, the landlord will likely charge a large premium on top of the originally negotiated rental amount. Foreign employees that require a fapiao should negotiate this with the landlord before signing the rental contract. Fapiao issuance should be clearly mentioned in the agreement. Foreign employees living in a serviced residence will not have this problem – the residence will be managed by a company that can issue a fapiao. Laundry allowance: This is fairly self-explanatory – an allowance for the dry cleaning of clothes. Children’s education allowance: Some of the cost of a foreign employee’s education expense for studying Chinese, or relating to the education of their children, can be deducted. Note that the education must be received in China and, as with the other allowances above, a fapiao must be received. Home visit allowance: Each year a foreign employee is allowed to deduct the cost of one or two return flights back to their home country (usually the cost of a ticket up to business class may be permitted). Note that flights to other destinations are normally not accepted. Cost of hotels and other expenses are also not accepted as this is considered a home visit allowance, not a vacation allowance. One key point is how much of a foreign employee’s salary can be allocated to allowances. This is something that is not clearly defined by the law, which stipulates that the allowances should be “reasonable.” In practice, many companies adopt a proportion of 30 percent of the total salary of the foreign employee and classify this portion as allowances. There is always the possibility that the tax office will challenge the company on this issue, so we recommend that the proportion of allowance should be set at or below this level. The next portion of the salary package is mandatory benefits (social security), often referred to in China as social insurance and housing fund. 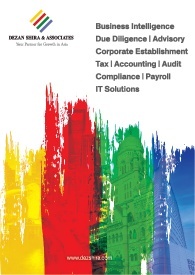 Contributions are made by both the employee and employer. The employee’s portion is deducted from their gross salary. The proportions and maximum contributions made by employer and employee vary depending on where the business is located. Some employers choose to enroll their employees in additional pension plans or other types of wealth accumulation plans. These are legal, but please note that only the mandatory benefits specified in the IIT laws can be deducted before calculation of IIT, unless it is otherwise stipulated by law. Normally, “net” is defined as the amount that employees receive each month after payment of IIT and mandatory benefits. It is more commonly offered to blue-collar workers that may not understand the details of the Chinese social insurance or IIT systems. Misunderstandings between managers and employees over the definition of “net” salary are commonplace. If a company intends to offer such packages to employees, we suggest that the HR department draws up a clear example to explain to each employee how their salary package will be structured, and to show the employee how much money they will be able to take home each month. The total of the base salary, allowances, bonuses, non-mandatory pension plans, and the employer’s portion of social insurance contribution are added together to form the total compensation and benefits (C&B) amount. 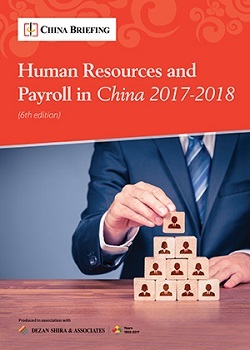 This article is adapted from “Human Resources and Payroll in China 2017-2018” A firm understanding of China’s laws and regulations related to human resources and payroll management is absolutely necessary for foreign businesses in China. 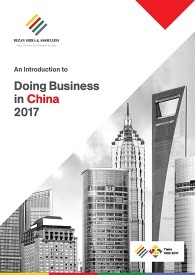 This edition of HR and Payroll, updated for 2017/18, navigates China’s laws and regulations related to HR and payroll management – essential information for foreign investors looking to establish or already running a foreign-invested entity in China. I’m Indian Passport Holder, I’m Master Degree Holder [Computer Applications & Techincal]. I need per month Salary for forginers. Kindly Reply as soon possible. Normally, employees are paid different amounts depending on their education, experience, and intangible skills. A company’s unique needs, location, and ability to attract talent can also affect salary. Can an employee of a China business entity be paid outside of China (ie into a foreign bank account)?